Thank you for visiting this page. I am Amanda Miller, an Essex girl who loves animals, especially cats and horses. 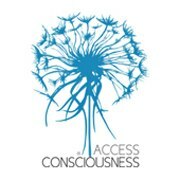 Amongst the services I offer to help you take control of your life, and refocus on what you want are the phenomenal new modality of Access Consciousness. And if stress and worry keep you awake at night, I can offer a combination of tailored solutions to help you both relax and to deal with the stress. I love working with my clients to make their lives a little better, maybe with a relaxing holistic facial or even a lot better by combining sessions of Access consciousness - who knows where that might lead us? I currently live in the West Midlands and offer therapies from my home near Solihull and from the Amethyst Centre in Coventry. I have a Hypnotherapy Diploma from the Institute of Learning & Management (Dip Hyp) and I am a Colour Mirrors Practitioner and Teacher. So in a nutshell I focus on helping you rediscover who you are and what you want in your life and would love to support and guide you on your journey of Self Awareness and Self Discovery. If you are not yet where to start, please explore this site and take advantage of the FREE readings and meditations for some personal insight. And adding in relaxation and stress relief for the mind and the body through head and neck massages, I am your one-stop-shop for helping you to recreate your life! You can also contact me to ask any questions about how I work, and to tailor a session especially for you.